Steve Frieze Removals and Packing Services Surrey can offer you a complete packing service. We will pack all items and unpack your wardrobe items, before and after the move. We are fully insured and can also assist you in packing your antique items and valuables. Packing is something that many people overlook at their peril. It is probably the most important part of any move. Your items need to be well packed and protected, in two ply boxes to ensure they are safe. Steve Frieze Removals and Packing Services Surrey can provide you with everything you need to pack all your items safely and securely. All the materials you need for packing are delivered to your door. Our removal and packing professionals can provide useful packing tips on how to pack personal, valuable and fragile items, such as antiques, electronics and artwork. We can supply a vast range of packing materials. A variety of sturdy packing boxes, tape, bubble wrap and mattress covers. Everything you need to prepare and pack your belongings is delivered to your door in plenty of time for the move. Steve Frieze Removals and Packing Services Surrey can provide help with disassembling and reassembling those larger items for packing, if you require. Those larger items can be packed and made ready for removal with the minimal fuss by our packing service experts. Our packing services Surrey team can come to your home either the day prior to your move, or on the day itself. 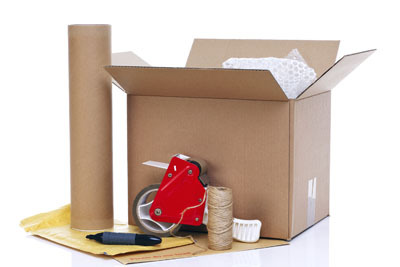 We will bring all the packing materials needed to ensure the safe removal of all your goods. These moving materials include bubble wrap, wrapping tissues and boxes. They will stack and store the boxes in a convenient position in your home ready for moving day! If you want to do the packing yourself then Steve Frieze Removals and Packing Services Surrey will inform you of how many boxes and what materials you will require when they survey your home during the initial quotation. Our removals and packing team are there to help you. Whether you are moving from a house or flat, we can offer a packing service that will make your life easy! If you are in Croydon, Purley, Kenley, Coulsdon, Shirley, Addiscombe, Whyteleafe, Selsdon, Selhurst, Wallington, Beddington, Hackbridge, Sutton, Cheam, Belmont, Carshalton, Woodcote, Banstead, Mitcham, Thornton Heath and surrounding Surrey, South London or Kent areas, call our removals and packing services on 020 8680 5235.